Since the start of summer 2016, tensions have been rising in the U.S. state of North Dakota. 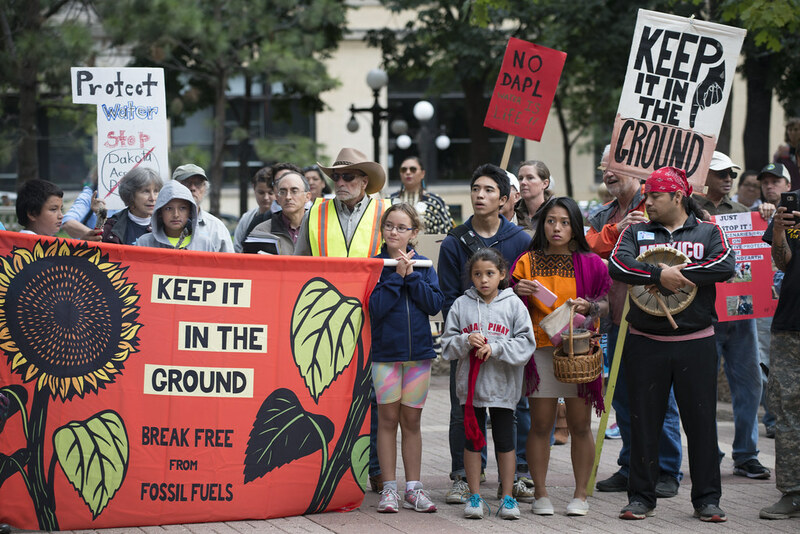 After Dakota Access LLC, a subsidiary of the Energy and Transfer Partners, received preliminary approval to construct an underground oil pipeline stretching from North Dakota to Illinois, indigenous people were not happy. The $3.7 billion project has been in the planning stages for several years but it has been recently met with fierce opposition from local citizens, particularly the area’s Native Americans who see the pipeline as very damaging to their cultural sites, the environment and the nearby water supply. A group of young people stood with the protesting masses both on and off site. The biggest group to partake in the protests is Standing Rock Youth, which has spoken on behalf of the Native American population. Their project “Rezpect our water” has made it all the way to Washington and has received support from influential individuals, such as actors Ben Affleck and Shailene Woodley, alongside thousands of signatures for their initial petition. Jasilyn Charger, one of the leaders of the movement, has stressed that an understanding needs to be promoted about the struggles indigenous youth face in a modern context. In this way, Standing Rock Youth is representing an entire ethnicity grossly neglected and ignored for decades. The recognition gathered by “Rezpect our water” has been highly influential in bringing the protests to the masses. Last month, U.S. President Barack Obama announced that Dakota Access LLC would be ordered to pause construction until they know for certain that the native Standing Rock Sioux tribe was consulted beforehand. Progress made by Standing Rock Youth, however, has not been easy. As a member of the Fortune 500 companies, Energy and Transfer Partners maintains a significant amount of influence in the U.S. and the use of local authorities to quell the protests has been highly controversial. As of Oct. 28, 269 arrests have been made, police dogs have been used on protesters, and several Native Americans have been injured by rubber bullets. There is a possibility that these incidents may intensify further to the point where protesters are forced off the land to make way for construction, which means the safety for those involved in the protests will become a more serious issue. Despite the pushback and ruthless response from local authorities, the Standing Rock Youth group shows no signs of slowing down. The brave young people behind the project continue to press for a worthwhile cause, inspiring others to stand up for both the environment and the communities who live on it while also challenging corporations who would put profit and commodities ahead of people.